Plant Resource Manager (PRM) is a key platform for the Yokogawa Asset Excellence initiative which aims to improve operations and maintenance and maximize the reliability and availability of plant assets by achieving greater predictability. PRM is a tool that gives you online access to all your field devices via a field digital network so that you can carry out essential management tasks such as changing device parameters. PRM helps both operators and maintenance personnel prevent downtime, and reduces maintenance costs. PRM R4.01, an upgrade to R3.31, has been significantly enhanced with a new function that provides statistical data needed to identify the overall status of the devices in a plant. 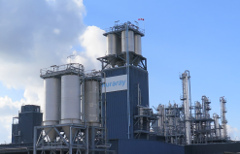 Through the provision of information that is essential for efficient maintenance and optimum operations, this new PRM release will help to ensure plant safety. A function for the reporting of key performance indicators (Field Asset KPI Report) on field assets has been added to R4.01. These KPIs can also be referred to when planning a maintenance schedule. A template function for the setting of device parameters has been added to R4.01. Once parameters are set using this function, the template can be downloaded to multiple devices. By making it easy to reset parameters, this function allows the immediate start up and use of the new device(s). Plant Resource Manager (PRM) is a plant asset management (PAM)　software tool that works with production control systems such as CENTUM, STARDOM, and ProSafe-RS. With PRM and intelligent field devices, operators and maintenance personnel can monitor the condition of plant assets remotely. PRM detects early signs of performance deterioration such as valve. PRM supports the FOUNDATION™ fieldbus, HART, PROFIBUS, and ISA100.11a communications protocols, ensuring an extensive range of devices to choose from. PRM fully embraces an open, rich, and intuitive access to intelligent field devices. PRM supports FDT/DTM (IEC 62453) and EDDL (IEC 618043). PRM accesses, provides appropriate setting and adjustment environment, and displays field device status. The device navigator displays the status of plant-wide assets with a Windows Explorer-like interface. Flexible navigation mechanisms enable maintenance personnel to quickly identify areas of the plant that require online diagnosis.Intuitive status icons for the field devices change color depending on the diagnostic conditions. Maintenance personnel can easily focus on specific plant areas and assets that require attention. Maintenance information immediately notifies the right people (operators and/or maintenance personnel), depending on the type and criticality of the diagnostic data analysis. Necessary actions can be taken at the right time, maximizing productivity. The Operator Guide Message generated by a predictive maintenance alarm gives operators enough time to manage process changes when an asset fails. Operators can check the device diagnostics information by clicking the Operator Guide Message to launch DeviceViewer. and trend data for field devices. Maintenance marks are used by maintenance engineers to identify the status of a device. It is possible to assign a maintenance mark to each device. Using these marks, maintenance engineers can set and check the work status of devices. Maintenance marks can also be linked with CENTUM's operation marks so that maintenance engineers and operators can share the same information and coordinate their work. PRM's historical records automatically store information on the who, when, why, and what of the changes that are made to field assets, along with all alarms, diagnosis results, and maintenance work records. The historical records can be filtered and sorted for quick analysis. Subscribers to Yokogawa's InsightSuiteAE services can use PRM to generate daily, weekly, monthly, and annual field asset KPI reports from the alarm and event messages that are saved for FOUNDATION fieldbus and HART devices. A KPI report provides an overview of device conditions and helps users prioritize their maintenance activities. It is known that partial stroke tests (PST) extends the interval period between full stroke tests (FST) for emergency shutdown valves and help to reduce maintenance costs. PST Scheduler brings precision, efficiency, and integration to the PST process. PST Scheduler can schedule an automatic, semi-automatic, or manual PST and automatically record test results for safety valves connected either to a Yokogawa ProSafe-RS or another safety instrumented systems. PST Scheduler works with safety valves from the four leading vendors. Operating under PRM, PST Scheduler remotely executes the PST provided by the safety valve vendor, and records the results. Testing is efficient and well planned and results are shown on a single screen without any additional hardware or software. Only Yokogawa's PRM and PST Scheduler support safety valves from multiple vendors. Yokogawa's ProSafe-RS safety instrumented system is SIL3 certified even in a single modular configuration. Execution of PSTs on a fixed schedule is key to ensuring that a safety system will function correctly in an emergency. The combination of ProSafe-RS and PRM with PST Scheduler not only simplifies the management of safety devices, it maximizes safety system performance. In addition, no additional wiring or hardware such as a multiplexer is needed to manage safety devices. The Vigilant Integration Partners (VIP) program is an open, non-exclusive, standard-based, and interoperability-driven initiative that enables users of Yokogawa's ProSafe-RS Safety Instrumented System and PRM asset management system to use best-in-class field devices from Dresser Masoneilan, Flowserve Corporation, Metso, and SAMSON AG. What is a partial stroke test (PST)? A partial stroke test (PST) partially opens and closes emergency shutdown (ESD) valves while the plant is running. Safety standards, such as IEC61508, IEC61511, or ANSI/ISA-84.00.01, require full stroke tests (FST) for those ESD valves to be conducted at certain intervals depending on the safety integrity levels (SIL) to make certain that they are functional in case of emergency. FST requires those shutdown valves to fully open and close, and it can only be done while the plant is shut down for maintenance. However, by conducting PSTs, it is possible to extend the intervals of the FSTs, thus the plant operation time can be maximized, which means the OPEX and TCO are reduced. 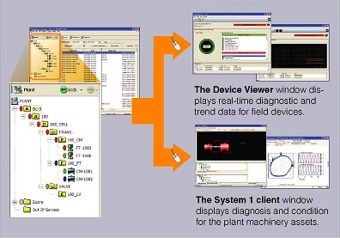 DeviceViewer displays real-time diagnostic and trend data for FOUNDATION™ fieldbus and HART devices from Yokogawa and other vendors. It features a color-highlighted display of device status and parameters that helps operators grasp the device status at a glance, without having to go into the field. 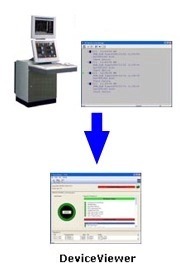 DeviceViewer can also run on a CENTUM VP/CS 3000 operator station, allowing operators to identify whether a process or a field device is responsible for a failure. The ValveNavi application includes a setup wizard that improves maintenance efficiency by simplifying the setting up and tuning of the YVP110. A signature function provides complete diagnostic information on control valve and positioner I/O characteristics, giving operators the diagnostic information they need to fine-tune and make maximum use of the YVP110. For more information about this software, please go to the ValveNavi page. PRM has an open integration tool for connecting with valve management and device maintenance software from other vendors. This PLUG-IN Application (PIA) interface enables these programs to run as PRM clients and communicate with related devices through Yokogawa host systems. Yokogawa provides a PIA interface development kit to software suppliers with a contract. After developing a program with this interface, a supplier sends it to Yokogawa for integration testing. FieldMate™ is a versatile device management wizard used to set, adjust, and troubleshoot parameters of field devices. All adjustments and settings made with FieldMate™ can be monitored and managed from a PRM window. Field devices and machinery account for 51% of plant maintenance costs. GE Energy's System 1 is a proven software platform for real-time optimization of equipment and selected processes, condition monitoring, and even diagnostics. Through integration with System 1, PRM is able to provide a single monitoring window for the diagnosis of turbines, rotating equipment and reciprocating equipment, in addition to field instrumentation such as pressure transmitters and flowmeters. Maintenance strategies are optimized for maximum effectiveness. Risk to operations is reduced through improved capabilities, safety, and business performance. Costs are controlled though more effective planning and the avoidance of unexpected shutdowns/catastrophic failures. Cost savings are achieved by reducing the need for manual data collection. Equipment damage is prevented by ensuring it is operated inside design parameters. In addition to supporting the use of powerful tools such as oscilloscopes and data historians, ADM has a unique commissioning wizard that can reduce up to 80% the amount of time required for the critical plant start-up phase. 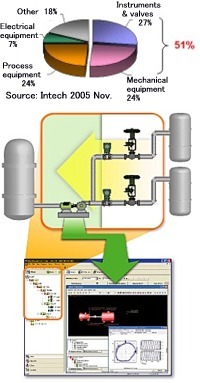 ADM's online monitoring capabilities provide actionable information through PRM's user interface, indicating changes in the fieldbus physical layer before they become critical. The integration of the FieldConnex ADM interface widens the scope of PRM's asset management capabilities to include the communication status of FOUNDATION™ fieldbus segments. PRM has a CMMS interface for Maximo, an enterprise asset management (EAM) system from IBM Software, Inc. Through this interface, Maximo can provide better maintenance operation by acquiring real-time device information from PRM when both systems are connected. The importance of reliability, seamless linking of small to large systems, easy engineering, long-term support, and supply of maintenance parts remains unchanged. Yokogawa's CENTUM VP and CENTUM CS 3000 production control systems feature open architectures, flexibility, and compatibility with existing systems. STARDOM is a control system suitable for geographically and functionally distributed applications, using IT networks to link resource planning, manufacturing systems, and control throughout the enterprise. Achieving absolute integrity between distributed control systems (DCS) and safety instrumented systems (SIS) for plant automation has traditionally raised complex design and integration issues. Yokogawa puts an end to DCS-SIS incompatibility with the new ProSafe-RS, the world's first truly integrated "safety PLC" for the process industries. Yokogawa has a wide range of state-of-the-art field devices such as pressure transmitters and differential pressure transmitters, magnetic flowmeters, vortex flowmeters, ultrasonic flowmeters, etc. for industrial use. Many field devices support BRAIN, HART, and FOUNDATION™ fieldbus communication protocols to communicate with distributed control systems and other control and monitoring systems. FieldMate is a PC-based device configuration tool used by engineers and technicians to manage the initial setup, routine maintenance, troubleshooting, and replacement of intelligent field devices. Developed with the "one tool for all" concept, FieldMate supports multi-vendor devices and multi-communication protocols such as FOUNDATION fieldbus™, HART, PROFIBUS, and BRAIN as well as FDT/DTM and other plant assets. PRM supports the following models as HART communication interfaces and has the ability to access parameters and diagnostics information of HART devices via a multiplexer. The following Ethernet/Serial Media Converters can be used for HART Multiplexer connection. The following Ethernet/PROFIBUS converter can be used for PROFIBUS connection. Yokogawa confirms the integration of third-party FOUNDATION fieldbus accessories with the Yokogawa host system. The PRM R3.31 supports the N-IO system (for RIO System Upgrade) released in the CENTUM VP R6.03. Interface for CMMS (software package) now supports Maximo Asset Management Versions 7.5.0.4 and 7.6.0.0. Quick obtainment of failure and other status information from HART field devices is enhanced by using Network-IO field input/output devices of ProSafe-RS R4.01. Support function for Exaopc OPC Interface package are enhanced Not only alarm messages but also notification of operator guide messages and synchronization of the maintenance marks are enable with CENTUM VP systems via the Exaopc OPC Interface Package. Priority icons are added to the Device Navigators Enhancements to the Device Navigator enabled to display the priority icons for the devices. Quick obtainment of failure and other status information from HART field devices is enhanced by using Network-IO field input/output devices of CENTUM VP R6.01. Various management functions for ISA100 field wireless devices are improved. DeviceViewer for ISA100 field wireless devices can be displayed on CENTUM’s screen. Field wireless management console can be called up by PRM to monitor the wireless network status. 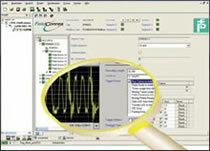 ProSafe-RS Vnet/IP-Upstream’s narrow band mode is supported. *1 : NAMUR is an international user association of automation technology in process industries headquartered in Germany. NE107 is the recommendation by NAMUR describing self-monitoring and diagnosis of field devices. DeviceFile is the contents for Partner Portal members. After user registration, please refer. A list of devices that the latest PRM version supports can be accessed by members of Partner Portal. Please register to access this information. DTM files that are not included on PRM media or that have been updated can be downloaded from the PRM Members Page. A document explaining how to install DTM files is also available for download. This service is available only for registered PRM members. Xstrata designed and supplied a plant wide process control system for the project based on a Yokogawa CENTUM CS 3000 system. Xstrata has used Yokogawa extensively in the past and trusted the reliability of the CS 3000 system. 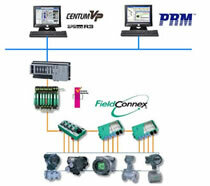 Computerized Maintenance Management System by PRM and SAP Schedules Field Instrumentation Maintenance. The frame applications and DTMs support the preventive maintenance strategy with self-diagnostic and condition monitoring. DCS, SIS, PRM with FOUNDATION fieldbus and OTS Installed in Thailand First LNG Terminal. Alarms are issued before any device fails completely, enabling predictive maintenance that reduces maintenance costs throughout the facility lifecycle. FDT technology gives users centralized access to all devices. FDT technology provides a common environment for configuring, operating, or maintaining any devices. Thai Acrylic Fibre Co., Ltd. (TAF) was established in 1987 and is currently a leading acrylic fiber manufacturer in the ASEAN region with 450 employees. 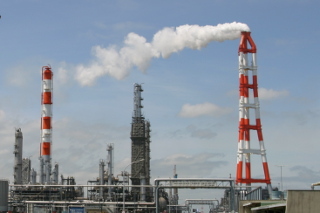 It produces a wide range of acrylic fiber productions with varied deniers and the annual production recorded 77,000 megatons in 2004 which is five times the production rate at the time of establishment. Predictive maintenance allows to schedule plant maintenance before a failure occurs only when it is necessary, greatly reducing unnecessary inspection and improving productivity. Yokogawa's Asset Excellence initiative helps its customers make their plant asset condition predictable and performance sustainable. Combining smart instruments, analyzers and valves with a modern asset management system can provide faster response to incidents, enable proactive maintenance, and reduce downtime. Offshore and deep-water production has been a significant factor in the sustained growth of the oil and gas industries over the past decade and this trend is expected to continue beyond 2013. Yokogawa's Raju Seshadri reveals the latest trends in predictive maintenance solutions. We all dream of being able to see into the future, of being able to predict what will happen before it has, and taking decisive action before something negative occurs later. Asset management systems need to be able to handle more data and present information in better formats if plant managers are to move towards proactive maintenance, says John van der Geer, industrial automation marketing manager at Yokogawa Europe. Martin te Lintelo, Yokogawa Europe B.V., The Netherlands, discusses high level control system design for LNG receiving terminals. As demand for LNG increases worldwide, players face seemingly conflicting challenges. On one hand, they must expand capacity in different regions, make the business and production as agile and adaptive as possible, and improve operational efficiency. Martin te Lintelo, Yokogawa, The Netherlands, discusses the need for better automation, measurement and control instruments to cope with the rising popularity of LNG. The FieldMate versatile device management wizard is PC software mainly used for configuring and adjusting field devices. Under the concept of "one tool for all," Yokogawa has been enhancing this software to support a wide range of field devices and field communication protocols. Latest field devices have not only various self-diagnosis functions but also process-interface-diagnosis functions such as valve diagnosis of valve positioners and impulse line blockage detection of differential pressure transmitters. The YVP valve positioner can easily perform initial tuning, parameter adjustment, trend monitoring, and valve diagnosis, by using the ValveNavi YVP management software.